When you think of a company that has changed the course of culture over the past twenty years, Google would be right at the top of that list of mega giants who have sharply altered the way we go about our everyday lives. From business operations to life in general, Google has used the internet to shape our daily online activities. So would it be difficult to believe that the masters of online search turned to direct mail for one of its more recent business-to-business marketing campaigns? Well, believe it. In a recent campaign to entice Japanese SMEs to consider using Google AdWords, Google utilized a more traditional approach with conversion numbers that would amaze any marketer. Google’s bread and butter for making profits is AdWords, that’s no secret, and they hope to keep pushing different markets towards using that service. Japan was the target for this campaign, with copy specifically geared towards 1000 SMEs who they were hoping would consider AdWords as a viable option to achieving effective returns. So Google turned to direct mail and sent out a closed box which read “Find the Key to Business Success With Google” and could only be opened through a code found on AdWords. After punching in the code, inside the box was a web page of personalized information specific to each company. The results of this campaign is truly astounding—95% of those who received the box went to AdWords to get the code and just over half of those targeted completed a questionnaire. The final ROI recorded by Google was 90:1. Several reasons can account for the success of this direct mail campaign. You may think the Google name was a huge advantage, but in a culture such as Japan, giants like Google are often received with a shade of distrust. So one thing Google did was ensure their entire mailer was designed in Japan, which established trust and turned out to be enormously creative. And if you’ve been following the direct mail strategies we’ve spoken about in previous blogs, you know a creative mailer is one of the top factors to a successful campaign. Another important aspect of the campaign was that it immediately guided recipients to AdWords which gets instant attention to the end goal, develops some familiarity with AdWords, and creates a system in which Google can effectively track precisely how many recipients were interested enough to get the code. 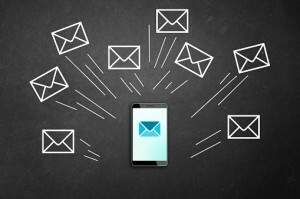 An indirect variable of this campaign is that it builds a sort of intrigue by having an online company like Google use direct mail as a means of communicating. The recipients immediately want to know what could possibly be the reason for this. Macromark understands what it takes to launch successful direct mail campaigns, and what we can learn from this example is that when used correctly, direct mail can be one of the most effective forms of marketing possible. We also see that even one of the most profitable companies in the world still see value in direct mail marketing.